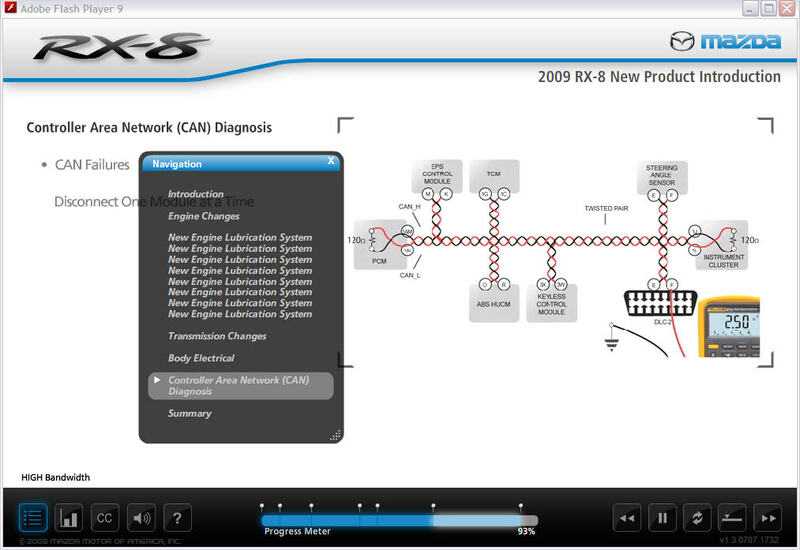 Mazda called upon piXvfm to create this video-driven course that identifies new equipment and systems on the 2009 RX-8. By combining live video of vehicle components, technician procedures, 3D animation, motion graphics, and stills, the program walks the learner through changes to the vehicle’s engine, lubrication system, transmission, body electrical, and diagnosis of Controller Area Network (CAN). 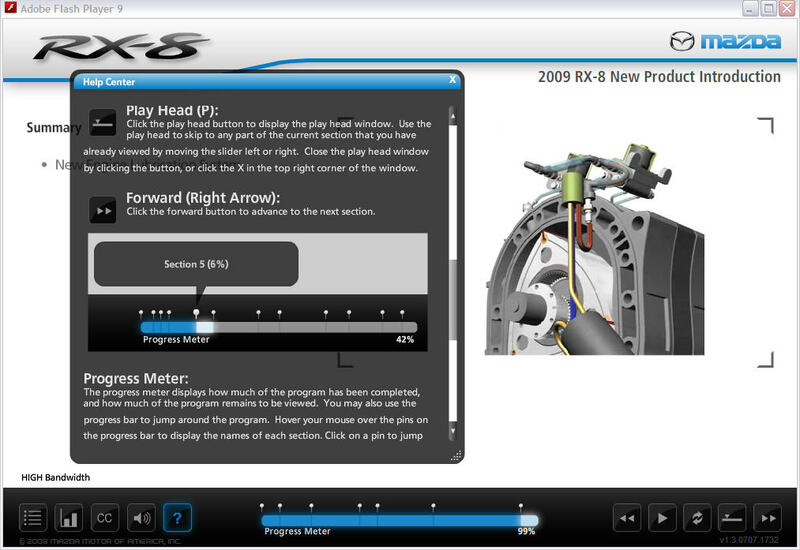 Robust navigation tools such as topic menus, progress bar, and playback controls allow the learner to easily step through and replay sections. Closed captioning allows for greater access to program content. Program progress information can be saved if the learner chooses to stop and resume the program later. Knowledge checks at the completion of the program require a score of at least 80% to advance, and prepare the learner for the certification exam in the Mazda LMS platform.